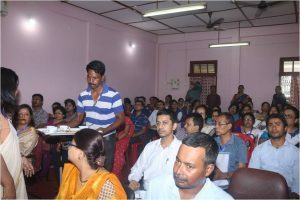 A workshop on Hazardous Effects of Electronic Waste conducted at Arya Vidyapeeth College, Guwahati at 8th June, 2017. The IQAC Cell took active part to conduct the workshop. All total 109 participants were present in the workshop. 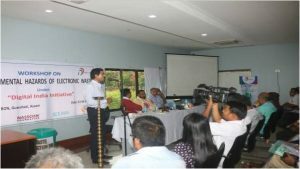 AMTRON Guwahati: A workshop on Environmental and Health Hazards of Electronic Waste (E-waste) was held in AMTRON on 22.06.2017. The workshop was chaired by Sjt Keshab Mahanta Honourable Minister of Information Technology to the Govt. of Assam, also the Chairman of AMTRON. And co-chaired by Sjt Ritu Baran Sarmah, Vice-chairman, AMTRON. 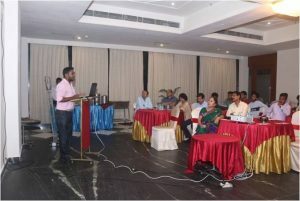 All total of 94 participants were present at the workshop. 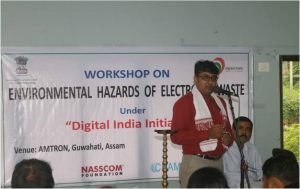 IIE Guwahati: A workshop on Hazardous Effects of E-Waste was conducted at Indian Institute of Entrepreneurship (IIE), Guwahati on 14th June, 2017. 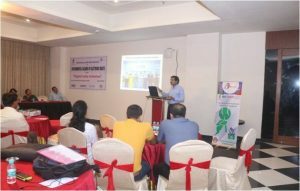 All total of 73 participants were present in the workshop from various organizations like Brahmaputra Board, IIE Guwahati and IIT Guwahati. 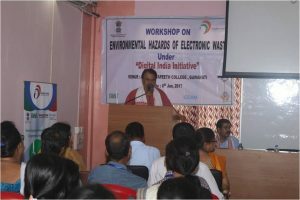 A workshop on, Hazardous Effects of E-waste was conducted at The Lily Hotel on 23rd July, 2017 at Guwahati. 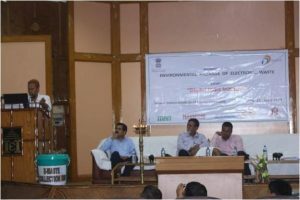 The programme was organized by Environ and sponsored by Ministry of Electronics and Information Technology under the Digital India Initiative Project. All total of 56 participants were present in the workshop.